My makeup routine changes a lot, to say the least. 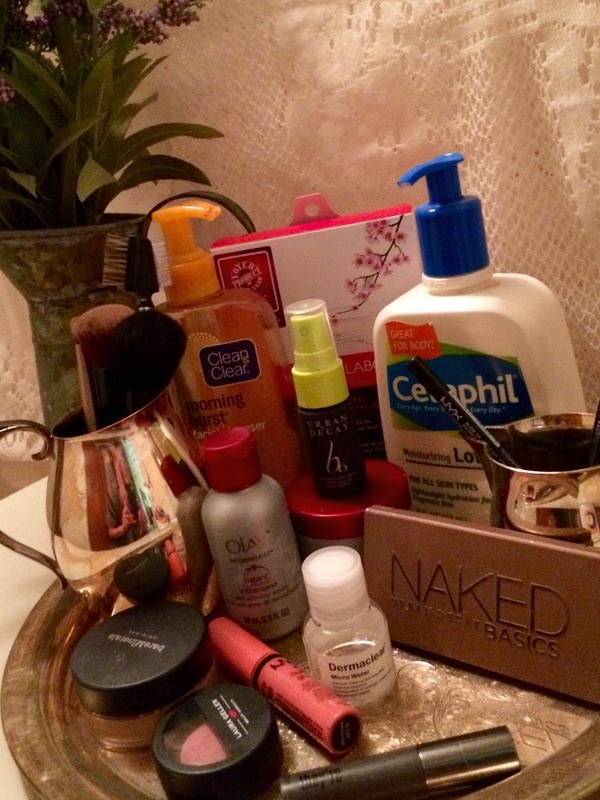 So many factors influence my skin care and makeup routine. It could change based on my mood, a review I read, what I’m wearing, the time of year, What my girls say is hot right now, or even the weather. As most of you reading this, I love to experiment with new products and the art of the whole process. Sometimes I even check out other blogger’s daily routines when I feel like changing it up. Recently I read about the benefits of using an infused water (what the ham!!!) versus makeup removal wipes so yeah, my wipes are drying up as you read this. I am patiently waiting for my Colourpop eyeshadow to arrive. I have extremely high hopes that it will be my new thang! Reviews and swatches on that real soon as long as my daughters don’t swipe em first. I don’t do contouring and highlighting for a regular work day and honestly it takes too much thought at 8am, plus this list is my most basic look. The list is long but the process short. I won’t claim it’s a cheap process because that would be a straight up lie, but I will say I buy sample sizes of the products that only require small amounts. This friggin makeup addiction will make me skinny eventually! I won’t get too detailed because I know you all skim read and want the scoop quick! Links are provided for the best price I could find for each product. Maybe my current routine will inspire some of you to switch it up. Please share your game face or suggestions below. Don’t be shy about giving us some lip. Friendly reminder for all you makeup junkies: READ the directions/ingredients before product use and know where and how to use it gals! I store my makeup in a way that is organized so mistakes aren’t easily made. Seriously, I had a friend that reached for spray starch instead of hairspray. In the middle of her cross examination (in open court) she ran her fingers through her hair and lost it all along with the case!